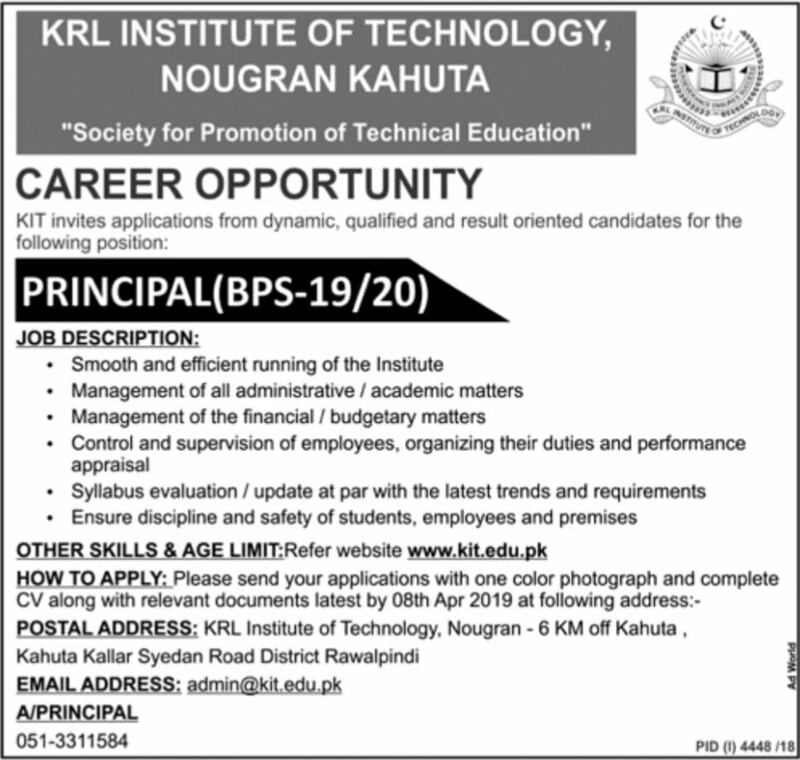 KRL Institute of Technology Kahuta Job 2019 Principal Required. 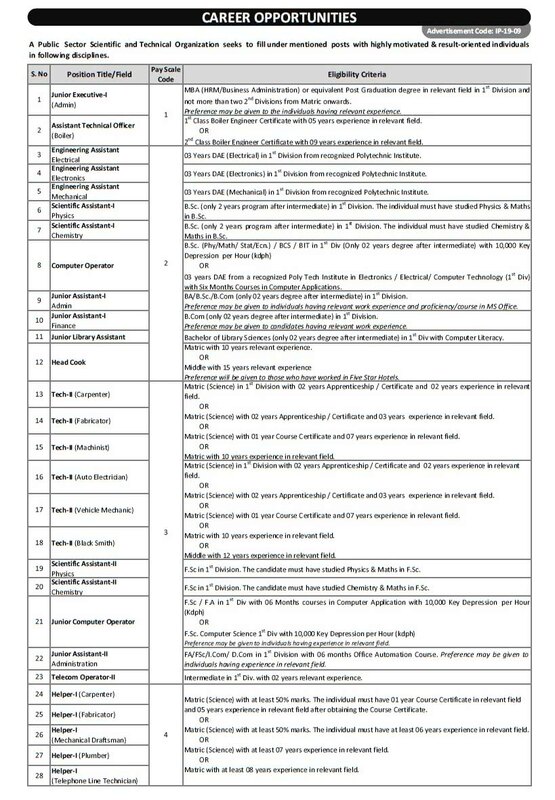 Post Principal (BPS-19/20) Qualification and Experience Minimum Master Degree (16 years of education). Experience Minimum of 20 years of teaching/administrative experience. Minimum 05 years experience as Principal/Head of Institute is desirable. Age Limit 45-55 years Job Description i. Smooth and efficient running of the Institute. ii.